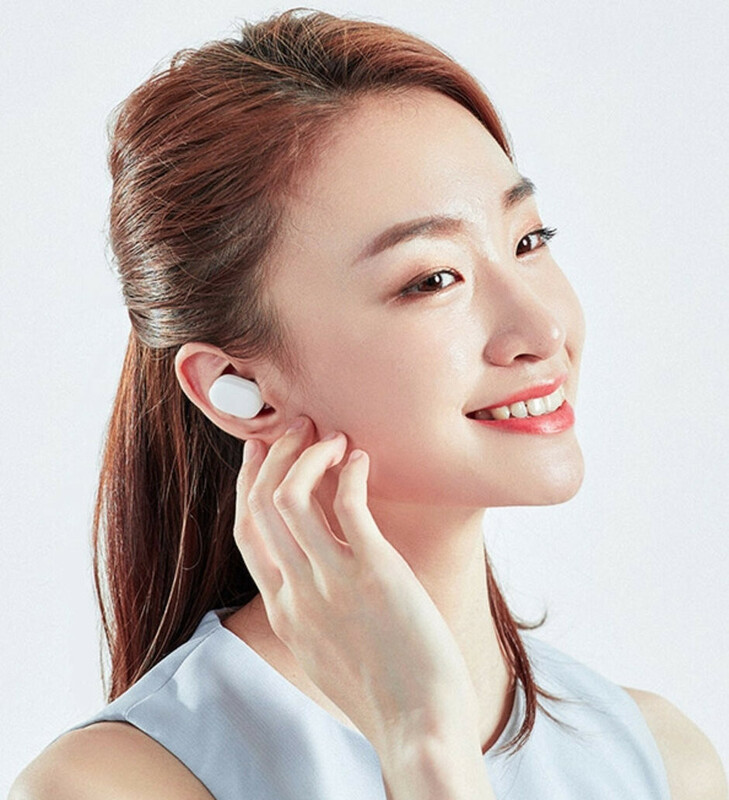 Xiaomi's first foray into the true wireless earbuds industry may have a name made to sound like AirPods for a reason. The company just scheduled a New York event yesterday, with "notable celebrities" and promises to showcase its latest and greatest products. If this sounds like the long-promised attempt to officially enter the US market with more than a direct-sale accessory site, it's because that might be it. Just in time, Xiaomi outs the so-called AirDots. They might be just a letter shy of the full AirPods title, and with a white charging case, but cost $30 for the pair, at least in China, and are one of the first on the market to come with Bluetooth 5.0. The latest installment of the venerable wireless standard promises fewer connectivity drops, way better syncing, and battery life improvements. Xiaomi also made the AirDots button-less by providing a touch panel on the exterior surface to control volume, answer calls, or mute them in the middle of the conversation by tapping on the buds twice, for instance. There is also a virtual assistant available to answer your questions but only if the Dots are paired with a Xiaomi smartphone, it seems. Said pairing is automatic once you remove them from the charging/carry box, too, as long as you've gone through the initial pairing process. Last but not least, "special 7.2mm three magnetic coils" chamber is supposed to take care of the deeper lows for an improved audio experience. Needless to say, at this price, which will likely translate to $50 if these arrive stateside, more than a few tradeoffs can be expected. First off, the AirDots will last up to four hours on a charge, instead of Apple's AirPods six hours. If you listen with only one of the buds, the promised battery life is up to five hours. They can be recharged three times with the built-in battery in the case, and that's where the "up to 12 hours listening" blurb during travels comes from. Second, there are no noise-cancellation promises and Xiaomi doesn't list any water-tight certification for its first true wireless earphones. As far as fit and finish, we'd have to get our hands on a pair. Xiaomi is known for offering good value for money, and we hope this will translate to its affordable AirDots with Bluetooth 5.0, cringy name notwithstanding. they look so much better than airpods but airpods have really good connectivity and is seamless with the apple products. It looks fit nicely on that male ears, but not much on female ears (based on promotional image above). Are there any that look good? In comparison to what? Do tell me how the airpods hanging out of your ear and alert surrounding people to the fact you'll be hard of hearing is any better? It doesn't take a genius to figure out Airdots sound like Airpods. You aren't that genius.